Snakes are my least favorite of all of the Big Guy's creations. But rather than wax on about that, which I will leave to someone else (surely i have a fellow ophidiophobe on the blog?) 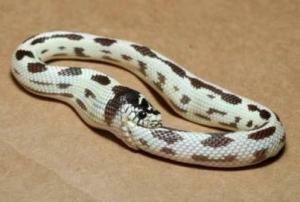 I'd like to bring up a far more fascinating reptile, the ouroboros. This mythological fellow *can* be a snake or serpent, but he can also be a dragon - as long as he eats himself. If the idea of self-cannibalism repulses you, you will probably be startled to know that most of us practice autophagy when we're in a state of extreme hunger. Our cells, it appears, have no qualms about consuming themselves. All in all, this is heavy stuff. 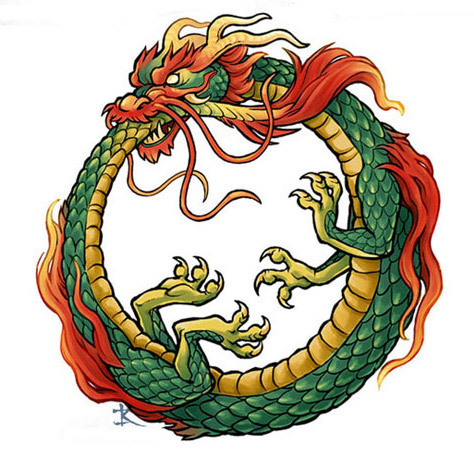 Ouroboros exists in some form in many cultures' mysthology. 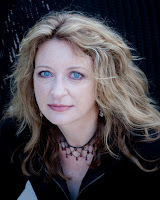 In addition to being said to represent the natural cycle of life and death, spiritualists add resurrection into the mix, and philosophers and Freudians also have give the subject attention. It wouldn't be going too far to say that it's a persistent symbol everywhere, which to me makes it excellent fodder for fiction. Oooh, but the suggestion is the worst part..... (and therefore, the best). Have just started Horizon - LOVING it, naturally. How cool! Autocannabalism....awesome ;-) Look who's having fun with mythology! ...and where do you think i got my taste for mythology??? hmmmm? So . . . are you saying those snakes aren't just chasing their tails in a weird snakey way, kind of like cats and puppies do?